My new book, the ‘Contentious Probate Handbook – Practice and Precedents’, 424 pages including a CD-ROM , was published by the Law Society 1 October 2016 (ISBN: 9781784460600). 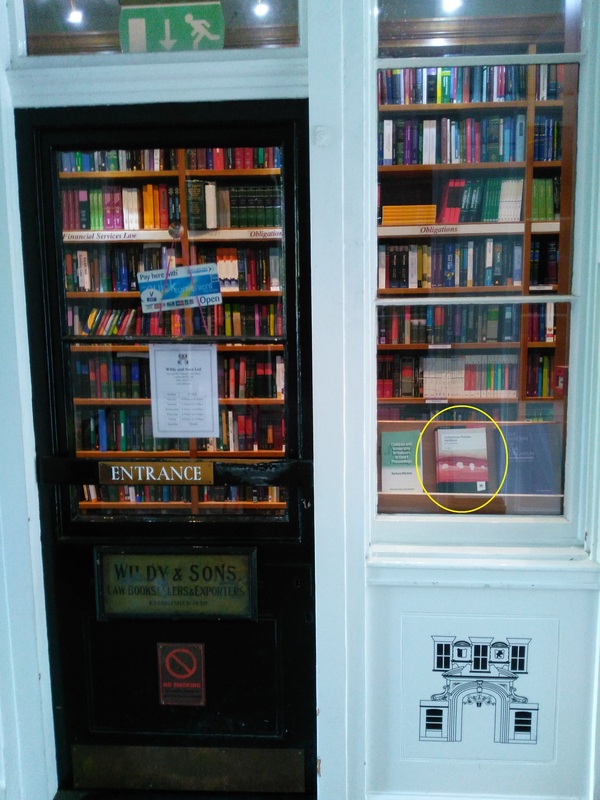 The photograph shows the book on display in the window of Wildy & Sons in Lincoln’s Inn. By Richard Dew, published in the June 2017 edition of the STEP Journal circulated worldwide (average monthly global net circulation July 2015 to June 2016: 19,757). Richard Dew TEP is a Barrister at Ten Old Square, which won Chambers of the Year at the STEP Private Client Awards 2015/16. ‘Some years ago, I spoke at a local STEP branch regarding practice and procedure in contentious probate, and subsequently published the notes of the talk online. As is the way with the internet, I found, even recently, that I was occasionally contacted by solicitors who – or whose clients – had read the notes and found them helpful, despite their obvious antiquity. The reason was simple: there are very few publications that address squarely (and solely) the topic of contentious probate. Carl Islam has now filled that gap with a handbook aimed at practitioners that sets out the law and practice of contentious probate, with a number of useful precedents. The author covers all the major topic areas, not only regarding the validity of wills, but also the removal of executors and trustees, claims under the Inheritance (Provision for Family and Dependants) Act 1975, and the principles of interpreting and rectifying wills. The requirements of civil procedure are set out in a comprehensive chapter, and there is a further chapter on the principles of costs, including the costs-budgeting regime. The reader who wishes to quickly research a principle or check on a procedural rule will be swiftly satisfied with the logical and clear presentation. A more avid reader will also not be disappointed: the author sets out his considered views on the tactics of litigation in a chapter that will cause even a seasoned litigator to reconsider. He also clearly has considerable experience in alternative dispute resolution, and provides guidance on both the well-known process of assisted mediation and other less well-known techniques, such as barrister-assisted mediation and the system of guided settlement, something the author himself has pioneered. Where outside expertise was needed on certain procedures, the author has obtained it: there are contributions from experts on mental disorders, forensic document examination and the preparation of costs budgets. There are also 23 precedents ranging from, for example, Beddoe orders to a sample Precedent H (a costs budget). It is inevitable that even a book devoted to precedents will not provide all those that might be needed, but this volume contains many examples that will prove useful to its readers. I can also recommend the notes set out in the appendices, which include a note on preparing court bundles (if only this were better known!) and a very useful digest on mediation cases. I do not have criticisms of the book so much as suggestions for the next edition. The chapter on Inheritance Act claims is short and would be improved by further discussion of the principles applicable to such claims. In addition, while the tax effect (and advantages) of settling and concluding probate claims is discussed, the book would benefit from outlining some of the more common techniques that are used. Written by Toby Graham, Partner and head of the Farrer & Co contentious trusts and estates group, member of the Trust Law Committee, Chair of the STEP Contentious Trusts and Estates Special Interest Group and a member of the International Academy of Estate and Trust Law. ‘The Law Society’s Probate Practitioners Handbook, in its seventh edition, has become a popular and widely regarded resource. 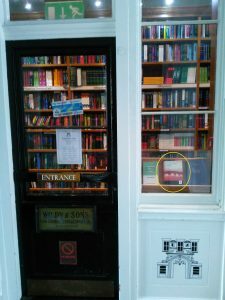 A similar book, dealing with the increasingly common issue of will disputes, has long been overdue. Luckily such a book has now been written – the Contentious Probate Handbook. The author, Carl Islam, is a barrister and writer who specialises in the field of contentious probate. There are also contributions from a recognised expert in the field of mental health (Hugh Series), an expert forensic document examiner (Ellen Radley), a costs draftsman (Sue Fox), a fellow barrister (Malcolm D Warner) and two mediators (Philip Hesketh and Tim Wallis). Mr Islam’s Handbook enables busy practitioners to navigate every stage of will disputes – from the early steps through to trial. Its ten practical, accessible and authoritative chapters, cover all aspects of the relevant law and practice. Aside from probate claims (as defined in rule 57.1 of the Civil Procedure Rules (CPR)), Mr Islam covers challenges to life time transactions, the interpretation and rectification of wills, claims under the Inheritance (Provision for Family and Dependents) Act 1975, constructive trust claims, claims based on proprietary estoppel, and the investigating and challenging of domicile and sham trusts and foundations (where the author rightly notes a hardening of judicial attitudes after the publication of the Panama papers). The handbook has an admirably pragmatic focus and deals with practical matters such as: litigation funding; the rules in CPR 44 in relation to costs; the importance of a strategic plan; mental capacity and the Banks v Goodfellow test; and the conduct of the trial (including how to prepare trial bundles). There are also a number of helpful precedent letters, pleadings and orders. The author considers alternative dispute resolution, an important alternative to litigation, at length. Mediation is geared to problem solving rather than apportioning blame. It also helps to identify and address the underlying causes of family disputes in a way that litigation does not. Mr Islam is a proponent of mediation and has pioneered a method called ‘Guided Settlement’, which is rooted in early neutral evaluation. To download my 95 page ACTAPS paper about advocacy and expert evidence, please visit the publications page at www.ihtbar.com.